Texting is the new black, and millennials, in particular, have embraced the trend with open arms. Beyond traditional texting, messaging services like WhatsApp, Facebook Messenger, and Slack have ushered in a new era in communication and with it, the rise of Conversational AI. Chatbots were initially slow to take off but have recently experienced a sharp uptick in the number of companies implementing them. Companies are replacing live chats, email support, and calls in favor of chatbots. Users can now order flowers, book flight tickets, make hotel reservations, and even get a medical diagnosis with chatbots. Alaska Air’s virtual assistant Jenn is, perhaps, the best use case. Jenn is exemplary with helping users reach “the content on our website and answers questions based on natural language”. Jenn can assist with website navigation, flight reservations, mileage plan help and much more, according to the airline. The HanaHaus chatbot built by the SAP Innovation Center Silicon Valley (ICSV) also allows customers to interact with the reservation system using natural language. The chatbot can reserve, extend, and cancel reservations through text messages and simplify user experience for recurring bookings. It can also answer common questions regarding HanaHaus and the reservation process. Chatbots are clearly gaining popularity and the numbers prove it. The global Enterprise chatbot market was valued at US$88.3 million in 2015. This number is expected to grow exponentially over the next decade, according to a study published by Credence Research. These numbers are compelling, the ICSV identified this growth opportunity early on and is currently adapting Conversational AI for enterprise applications, leveraging state-of-the-art machine learning to provide deep natural language understanding for SAP’s Digital Assistant CoPilot and other Conversational Applications across SAP. 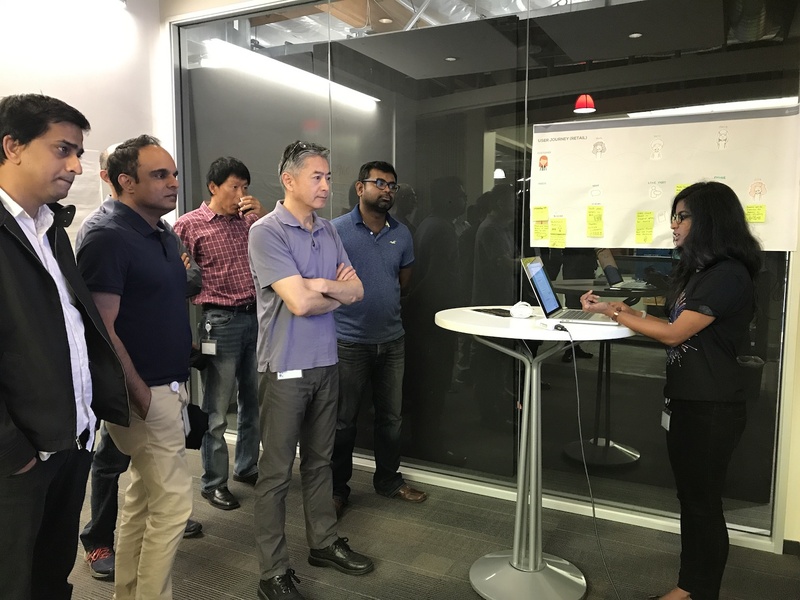 As part of the SAPsv NOW Innovation Showcase (June 28, Palo Alto), the ICSV showcased their SAPPHIRE NOW 2017 chatbot demo to great fervor. During the demo, the team explained how the learning curve for end users with conversational apps are much smaller in comparison to traditional ERP applications, which inherently deal with complex processes and a large variety of functionality and navigation options. For instance, on-boarding and HR related tasks become easier and so do employee self-services in procurement. Conversational apps can help to reduce required training and boost adoption of SAP software. SAP foresees Enterprise Bots to transition towards Enterprise AI over the coming years which learns to act autonomously and proactively, allowing users to focus on high-value work. It will optimize processes and discover practices and procedures based on user patterns and preferences. The Enterprise AI will adapt to how a user works rather than the reverse further simplifying time-consuming tasks. Additionally, the AI’s understanding of unstructured data will improve to process and evaluate incomplete text, extract relevant information and leverage it to gain deeper and unique insights. A company can use the latest technology and attract many clients due to this action. This is also the path to grow fast. But the clients are attracted by the visual aspect of the company as well. A unique business interior design Charlotte NC will definitely improve a company’s interior design and it will ultimately attract more clients and make others to come more often to the business headquarters.